The mobile growth is unprecedented, and even today more mobile devices are being sold. Your company website is accessible to someone using a smartphone, whether by search, by a post on Facebook or from an email newsletter. Chances are the person will be using their phone to tap on the link they found interesting, and if your website doesn't fit the phone screen most likely, they will leave. The world we live in; we are highly connected. We like to use Facebook and check emails on our phones, and whenever we have doubt or need to find a location, we reach for our phone and do a search. 48% of mobile users begin mobile shopping-related exploration on search engines, not on branded apps or websites. Shoppers spend up to 5+ hours each week researching on mobile sites and apps. Customers visit websites an average of 6 times before actually making a purchase. 69% of customers look for a company within 5 miles of where they are. 55% of clients would like to buy in an hour, 83% in a day. With smartphone usage in the US nearly doubling each year, it’s evident that the mobile shopper is here to stay. Out of all individuals who completed an acquisition after getting to know a product or service on a mobile device, 82% buy in-store, 45% purchase online (desktop/tablet), and 17% purchased on mobile. There two types of mobile devices, smartphones and tablets; for both, Apple is still the dominant platform (traffic wise), although Android-powered devices have a more significant share of today's global mobile market. 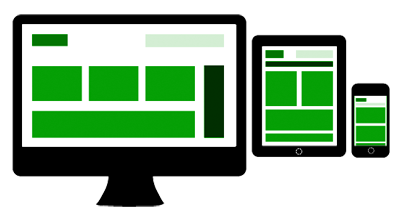 Tablets have larger screen size, and in most cases, the desktop version of your website will display fine in them. Maybe you will need to use "responsive design" to manage the different screen size from the various manufacturers and the changing orientation of the tablet; portrait or landscape. But in general, the same website architecture as for the desktop version is expected for the tablet version. With smartphones, things change, with smaller screens it is challenging to fit all elements of a desktop version of a website, especially when stuff like links need to be larger so we can use user our fingers to tap/navigate. Another thing to have in mind is how people use the web on their phones; they do a search, land on the website quickly look for what they are looking for, find it and leave. You need to ensure your call to action is on the home page of your mobile site. These days people are doing more and more from their smartphone, they check emails, read newsletters, check social media - all scenarios where people are often sharing links - what kind of page are they landing on when they click one of your links? Because of the prevalence of social sharing, it is essential that all pages of your website be mobile friendly, even if you don't include your entire site in your mobile site navigation. We use mobile devices differently than desktop computers, for example, we use our fingers to tap or swipe. And it goes beyond that; good mobile sites build in features like click to call or geolocation tools that quickly provide users with directions to your location. Having a mobile version of your website ensures your customers have an experience that is optimal for the device they are using. It means that your site is formatted for a smaller screen and ideally takes advantage of the touch screen technology and geolocation tools. This kind of user experience just may be the differentiating factor that leads a potential customer to call or stop in to, your business vs your competition’s. If you have a question regarding this topic, leave a comment or use the "Contact" page.